Front: Small Chi Star set with Pink Swarovski crystals on front and back. , 3mm stones. 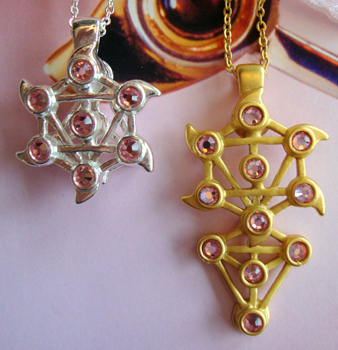 We are donating part of the "Chi Star" proceeds to various support groups for women with Breast Cancer..